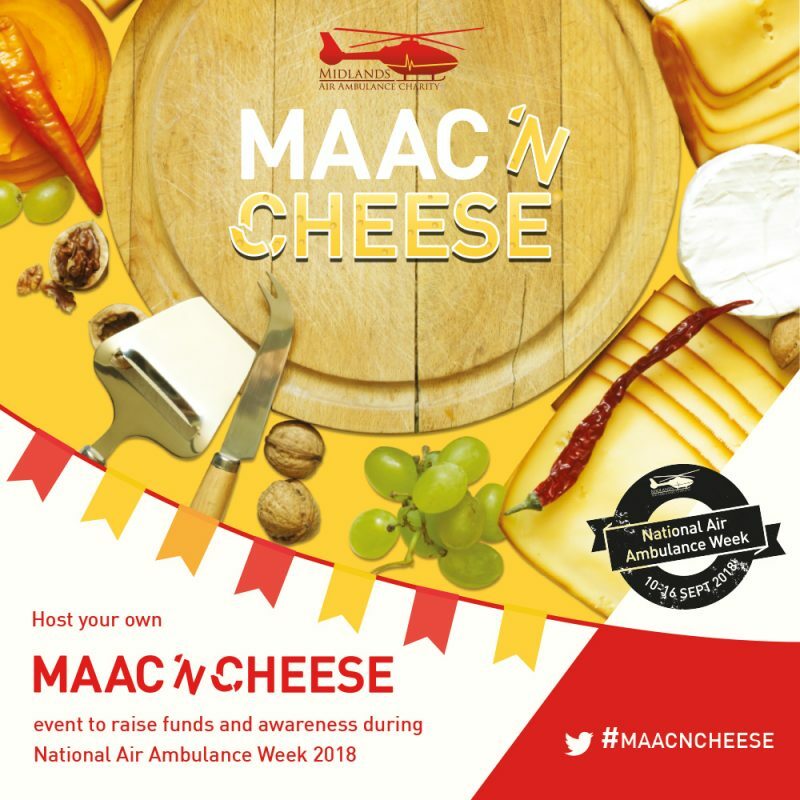 Midlands Air Ambulance Charity (MAAC) is urging people across the Midlands to host their own ‘MAAC’N’CHEESE’ event to raise funds for the lifesaving charity. 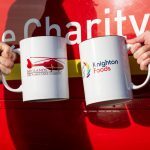 Whether it’s a lunchtime event in the office, or a Friday night in with friends, the cheese inspired fundraiser is set to raise awareness and funds during National Air Ambulance Week, which takes place from Monday 10th to Sunday 16th September. 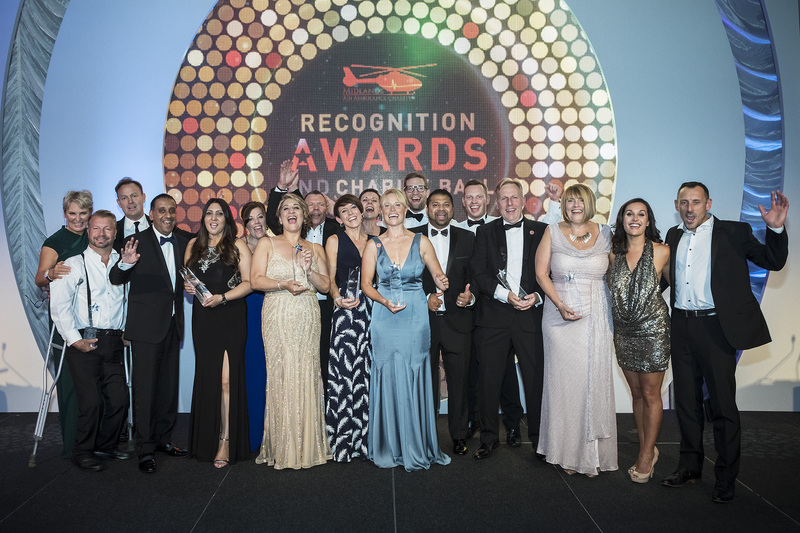 Abbie Hawkins, events coordinator for Midlands Air Ambulance Charity says: “MAAC’N’CHEESE is a really fun and simple way for our supporters to help raise funds, and a great excuse to catch up with colleagues and friends. 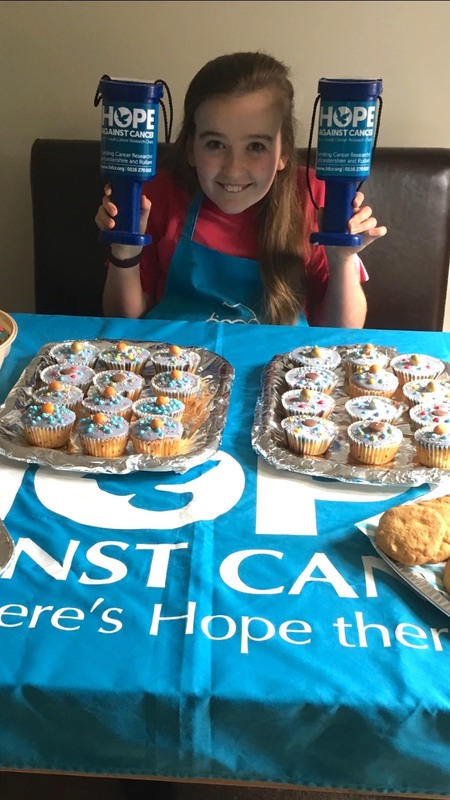 The charity has enlisted support from Herefordshire based business, The Mousetrap Cheese Shop, which is selling cheese packs for the event. Starting from just £10, specially put together packs of locally sourced cheese can be purchased online at: www.mousetrapcheese.co.uk/MAAC/maacncheese for national delivery or to collect from their Ludlow, Leominster or Hereford shops, with a donation from every sale going to the charity. 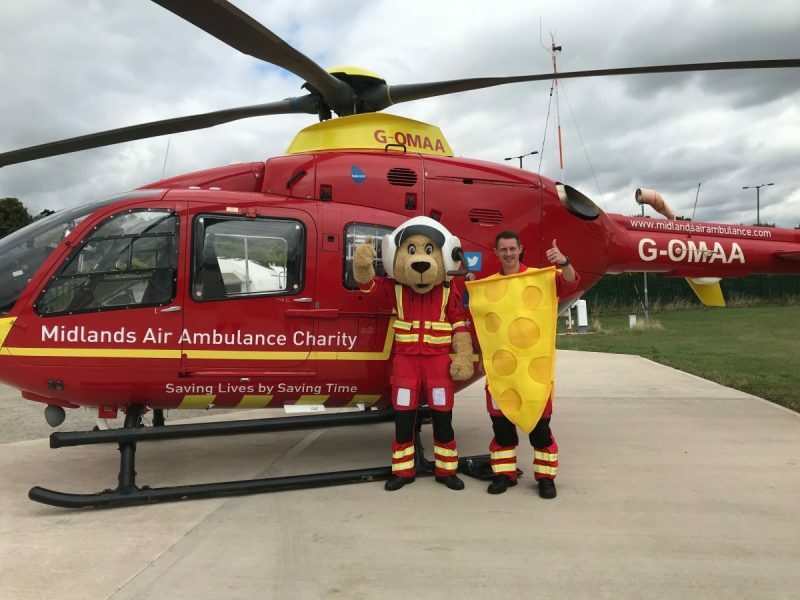 If you would like to host your own MAAC’N’CHEESE event, you can find further information and a downloadable fundraising pack at www.midlandsairambulance.com/maacncheese. The fundraising pack includes an event poster, sponsorship form, social media picture, printable cheese board template, recipe ideas and ‘guess the grapes’ activity sheet. 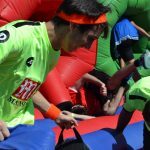 Follow the charity on social media for updates and use the hashtag #MAACNCHEESE to join in on Twitter. 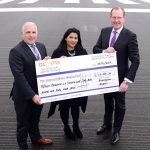 For more information about the charity, visit www.midlandsairambulance.com.